If you or your kids like to play sports you most likely have quite a number of balls floating around in your house and garage. When it is time to head off to sports practice, or for some fun outside, do you have trouble finding the right ball? Or is your garage full of sports equipment, without it being easy to get to? Either way, this vertical ball rack may be of great help to you. 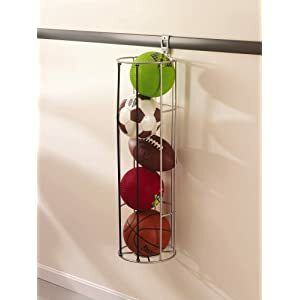 It is designed to hold many different types of balls, including basketballs, volleyballs, footballs and soccer balls. This product is actually an accessory for the Rubbermaid FastTrack system, and snaps easily into your FastTrack rail. However, you can use this rack even if you don't buy the whole system, because it also can be attached directly to the wall, on a stud. You can see even more garage storage solutions and organizer product recommendations and ideas. Join in and write your own page! It's easy to do. How? 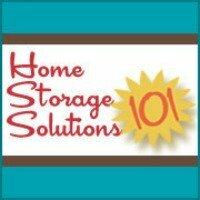 Simply click here to return to garage storage solutions.